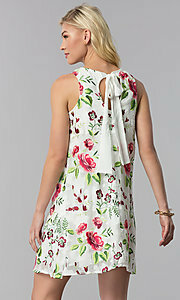 Wear this short casual party dress, reasonably priced under $100, for wedding events, workdays, and date nights too. Crafted from a net mesh overlay with a jersey lining, this little white dress is fashioned in a shift style with a loose and airy fit. 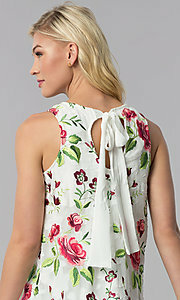 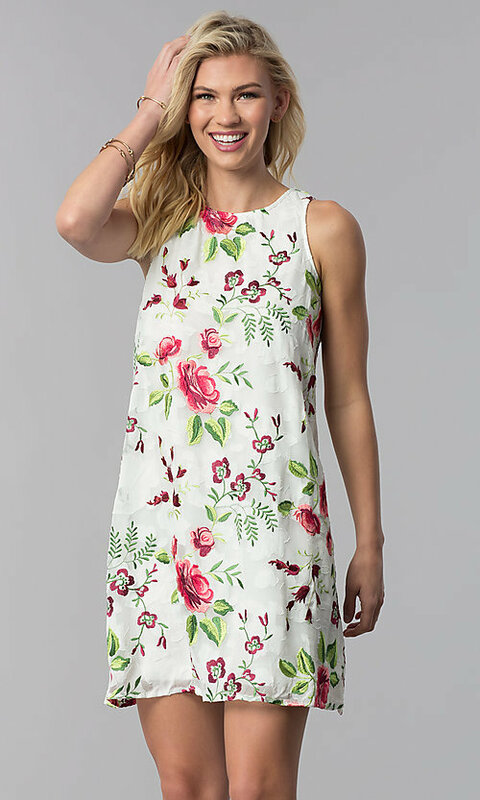 Spring-like embroidered flowers in pinks and greens add to the light and breezy look. 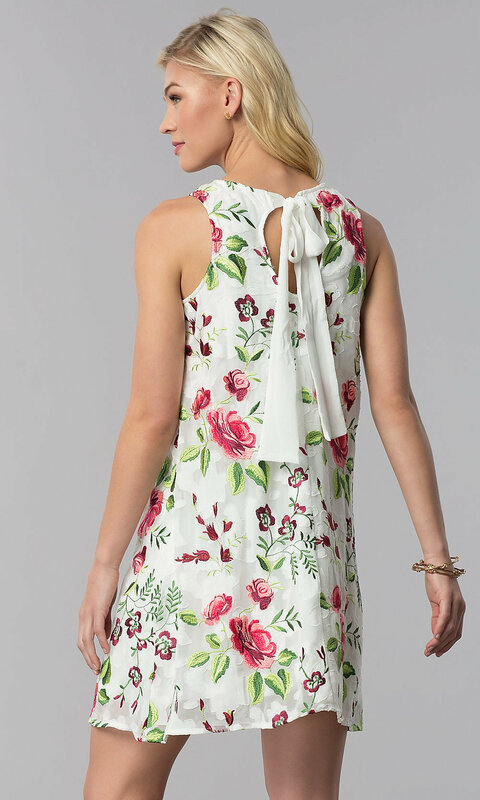 The sleeveless casual shift dress has a high-scoop neckline that secures in a back with a sash tied into a dainty bow above the trendy keyhole cut out. 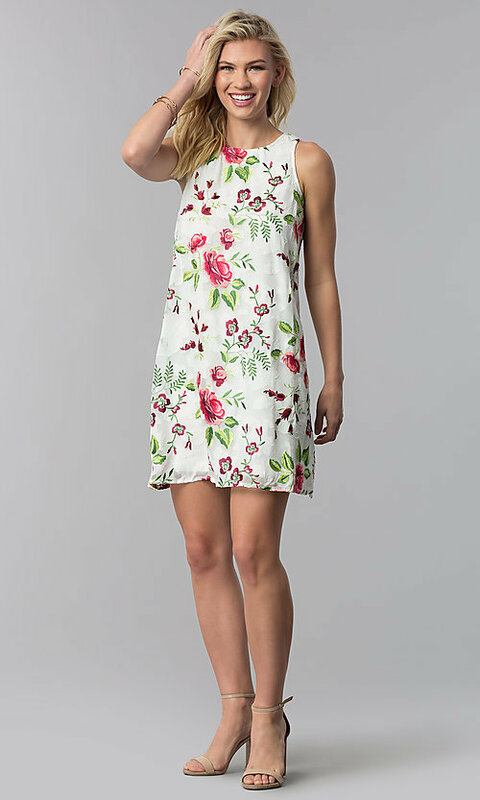 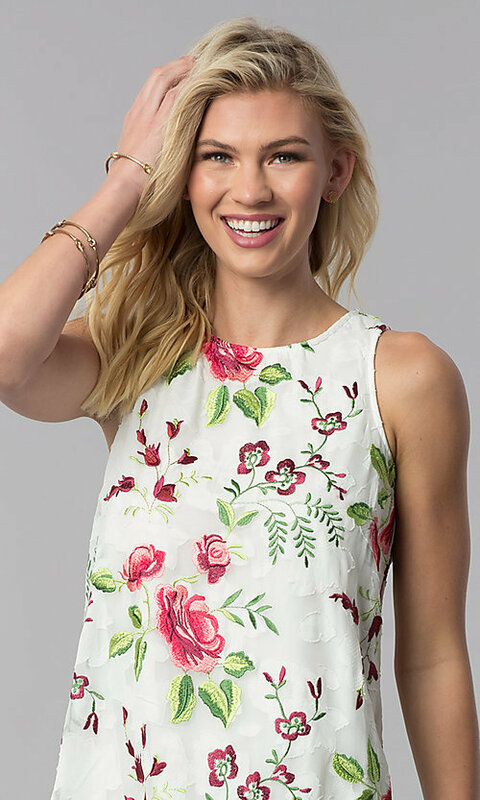 Feel pretty at casual and semi-casual parties wearing this embroidered shift dress for less.